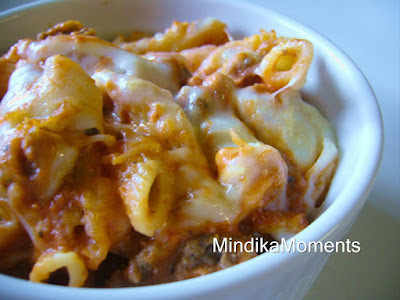 Mindika Moments: Macaroni Grill...I'd rather stay home! Macaroni Grill...I'd rather stay home! I think I'm going to retire from eating out! I feel like every time my husband and I eat out these days, it's just disappointing. I'm wondering if this recession has caused restaurants to make too many cut backs or take too many short cuts, that it's effecting the quality of their service and more importantly their food. Tuesday was our anniversary! Yea for us! We will be celebrating officially in July, when my parents come into town to watch our little munchkin so we can go away for a weekend. But we didn't want to completely ignore the actual day. We decided to go out to dinner. We chose Macaroni Grill because I used to love it, and that's where we had our wedding day luncheon. It was highly disappointing. The service was terrible. We waited 15 minutes for the bread, and then it was covered in so much salt even I wanted to gag (if you know me, you know I'm a bit of a salt-aholic, so for me to say something is salty...that's bad). My salad was so small I thought they must be having a vegetable shortage, or maybe their cutting back?? My pasta...again was beyond salty! Maybe Sergeant Salty himself was the resident chef that night. Our special came with free dessert...the driest most disgusting chocolate cake I have ever tasted. A ding dong or ho ho would have tasted better. We again waited 20 minutes for the check...and they weren't busy at all. Maybe it was just a bad night at Macaroni Grill, but we seem to be having similar experiences everywhere we go these days. Have you been to Mimi's Cafe lately? What happened to the plethora of bread you used to get on the house?? And don't get me started on the size of their salads. If I pay for a side salad, I would like more than a piece of lettuce and a few carrot shavings. I think we're done eating out for a while! I mean the recession has made us more money conscious, so if we're going to splurge we want it to be good. If it's not good...we'll just stay home thanks! On a happy note, below is super easy and tasty recipe for pasta! 1. Cook pasta al dente, according to package directions. Drain and set aside. 3. Add the cream cheese to the beef, stirring until melted and incorporated into the beef. 4. Add the marinara sauce to the beef mixture; heat through. 5. Add the cooked pasta and Parmesan cheese to the sauce, mix well. 6. Transfer pasta and sauce to a 9x13 pan. 7. Top with mozzarella cheese. 8. Bake at 350 degrees for 30 minutes or until bubbly. This looks delicious! I am going to try this one for sure! I can totally relate on the whole eating out thing. If you're going to pay it better be good!